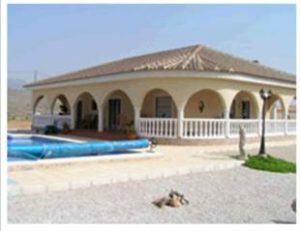 Please have a look at our small selection of country property for sale in Spain below. 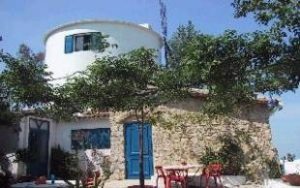 Outstanding Country home built in the style of a windmill not far from the village of Vall de Ebo, with restaurant project, near to the caves of vall de ebo and Hells Canyon. Breathtaking views across to the Costa Blanca coastline. A house currently under renovation and extension and when finished will have four bedrooms and three bathrooms, a spacious lounge/dining room with fireplace and wood burner and feature brick archway and breakfast bar to the very well fitted kitchen, covered terrace and private swimming pool. The plot is fenced and has good views all around. 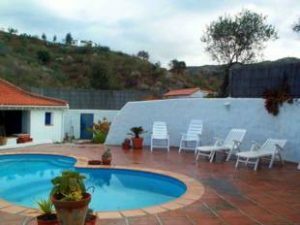 Situated close to Alhaurin el Grande with only a small amount of track access. 5 000 M2 PLOT FENCE, ELECTRICITY AND WATER, SWIMMING POOL, BARBACOA, GARAGE AND GARDEN. 220 M2 VILLA WITH 3 BEDROOMS, 2 BATHROOMS, KITCHEN, 2 LIVING ROOMS ONE WITH FIREPLACE, STROREROOM AND PORCH. 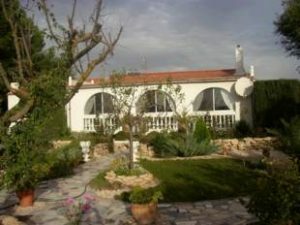 A country house situated in Bullas, this new property consists of a large living/dining room, 4 bedrooms and 2 bathrooms. There is a large terrace and is built to a superior standard with top quality materials. It is to be found on a plot of approximately 8000 square metres and has drinking water and electricity. 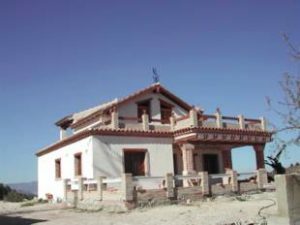 Situated inland near the town of Velez Rubio, Almeria this has a main Cortijo plus 2 separate apartments for rental if desired. The main cortijo has 3 bedrooms, the master bedroom is upstairs and leads out to a roof terrace with stunning views of the Blanco Valley and surrounding mountains. There is a large bathroom with bath, living room with wood burning stove, kitchen/utility room and a further kitchen with stairs leading to the floor above. Outside there is a terrace, both open and covered. A nice size landscaped garden and a large swimming pool. Next door there is a complete house, 2 up, 2 down for complete renovation. On the other side of the building there are two separate apartments for letting purposes. Both have two bedrooms and shower rooms. One has a living room and kitchen and the other has an outside kitchen with BBQ area. There are private gates separated the main cortijo from the apartments. 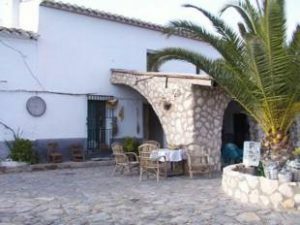 The cortijo and two apartments come COMPLETELY FURNISHED including all white goods and linen. This property is all on one level, with a beautiful covered terrace at the entrance of the house. It consists of a large rustic style kitchen area, lovely living room with a traditional fireplace and with a spacious bookshelf with many books as pictured above and patio doors leading to a covered terrace, a dining room with patio doors that lead to the garden. There is a master bedroom with en-suite bathroom, a second double bedroom, a family bathroom and a separate shower room. approx. 18.000m2 of land with almond trees, a lovely sunny roof terrace with spectacular and panoramic views of the countryside and the mountains, a beautiful garden around the house and a lovely sunny patios. There is a good sized outbuilding with 3 separate rooms, one is currently used as a storage room, the other a utility room and the third a guest room. There is a kidney shaped swimming pool, surrounded by landscaped gardens with stone paving and bedding plants. This property has its own well water, 3 fase mains electricity and satellite TV. This beautiful and very tastefully decorated villa offers peace and tranquility, located in a very sought after area with lovely views. We believe this will make a sound investment as rental, holiday or retirement home. Some of furniture is included in the price. This lovely property is situated approx. 6kms from the main road, with views over looking the countryside and in a perfect location for those looking for tranquility. Wonderful 150 m2 country house near Hondon de las Nieves built on a 12, 000 m2 plot with fruit trees with panoramic views to the mountains and countryside. This property has a garage and a swimming pool, a large porch and features a fireplace, ceiling fans and security grills. This spacious country house has all modern conveniences, a carport, swimming pool, B-B-Q, central heating, mosquito nets, telephone, satellite TV and a large guest house with a fireplace, waiting for conversion. 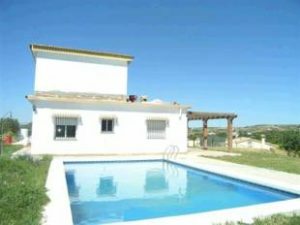 It is conveniently near to both Villena and Caudete and has a fishing club and model airplane strip nearby. The house has been tastefully decorated and the garden is indeed a pleasure to walk around with its fig, apple, cherry, pear and pomegranate trees. It has beautiful views over the surrounding countryside. There is a garage and a storeroom.